Blake Whitney, of D.C., has no intention of getting wet before the race. None at all. Marie Kondo may not be a Boston Marathoner’s best friend this year. Given the forecast currently calls for a repeat of 2018’s cold, windy deluge, throwaway clothes that might not spark joy the rest of the year are probably going to be invaluable this year. If you cleared out your closet in the past few months, now is a good time to get to a local thrift store, before you get to Boston and everyone else has the same idea. 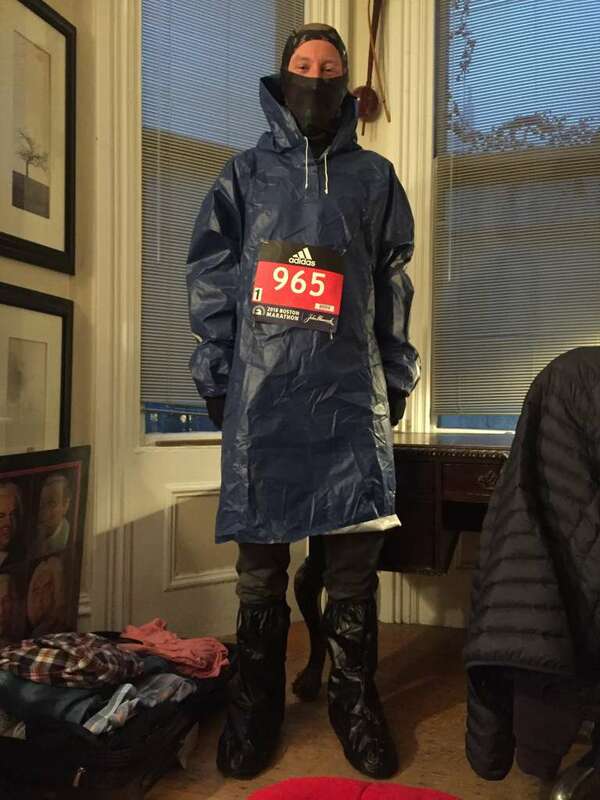 Here’s what some of our runners wore last year.